We've known about Super Smash Bros. Ultimate for quite some time ahead of its reveal at E3 2018. What we didn't know was just how massive it would end up being, featuring every character from the series' history, all wrapped up in a conveniently portable package. We recently had the opportunity to catch up with Nate Bihldorff and Bill Trinen of Nintendo of America to talk about the game and the new changes it's bringing to both casual players and the competitive scene, whether Ultimate is a new game or an enhanced port, plans for the future, and... that fat guy from NES hockey?! Read on for the full interview. Nintendo Life: Can you talk about how long the development cycle was on Smash Ultimate? It feels like it had to have been really short compared to previous entries. Nate Bihldorff: It is huge. We don't have details on sort of exactly when development started on. I think those things ramp up over time. It’s kind of a small start like Genesis and then it ramps up all of the time, so we don't have specific details about how long the development cycle is. I think the results kind of speak for themselves. It certainly doesn't feel like something that was slapped together in a short period of time. A lot of people were expecting Smash to be like Mario Kart 8 Deluxe, or even in a lesser sense Splatoon 2, in that it looks like the Wii U original but it is just improved upon; I feel like this is more of a completely original game. Bill Trinen: I would argue Splatoon 2 is a completely original game. You look at, you know it is not like shooters change that much from version to version, but Splatoon 2, they added new modes. 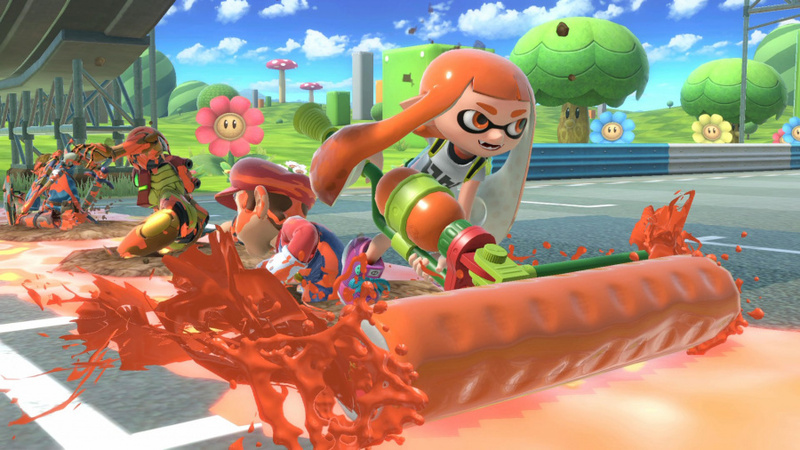 I think that the perspective - at least among our audience - was that it still looked very similar, and yes, Splatoon does have a distinct visual style, but the art style itself seems to be different between Smash 4 and Ultimate. Bihldorff: You know we were just talking about that today. In particular, the lighting and the texture work in the stages, stuff like that are really significant. Actually, for us, the biggest thing was going back and looking at Melee stages that you know and love and all of a sudden you see all the care that’s gone into bringing them into this new game. I'd say for people who are expecting a Mario Kart 8 Deluxe upgraded port thing, that they are very pleasantly surprised when they open up the box. Trinen: That's the question that I always ask. When was the last Smash Bros port? Trinen: There has never been a port. We just played on Saffron City, which hasn't been around since the original on Nintendo 64. We were really excited to see that pixelated Charizard is still there. Trinen: Yeah, because it is awesome. Are we going to see every stage that has ever been in a Smash Bros., or is it going to be a selection of some of the classics as well as some new stages? Trinen: It is not quite going to have every stage, but as you see in the E3 build that they are looking at bringing some back. They are looking at bringing some over that were on the 3DS version, and bringing them into this game. Obviously, they look a lot better in this game than the did in the 3DS version. Bihldorff: Yeah. I was actually reading; the internet sleuths did a wonderful job of dissecting the amount of media that we put out there between screenshots, and videos. 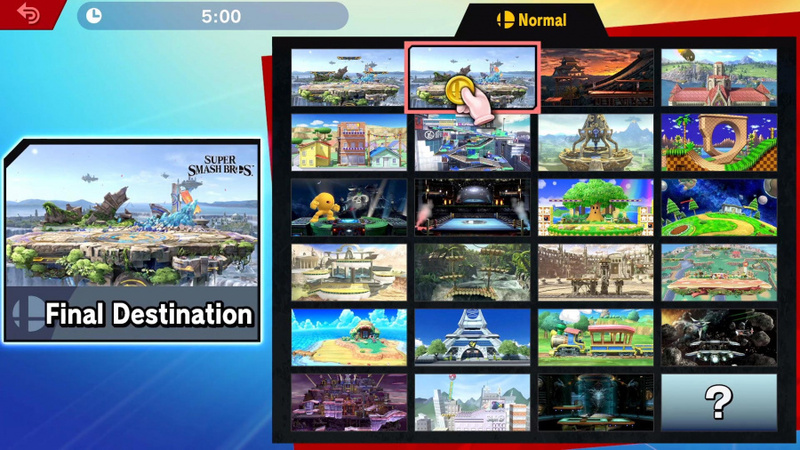 They have already amassed all of the stages that they have seen in some form of media, and I don't really know how big it is, but seeing it in a list is very different than seeing it on a stage selection screen. The amount of stuff already in there is unbelievable, the number of stages in the game. You could get paralyzed by looking at it. And then you realize that every single one of those could be a final destination stage with the same theme. Every single one of those could be a battlefield stage with the same theme. And I think for me anyways as a player, that just makes me incredibly happy. There are certain stages that I gotta admit, the hazards on them absolutely destroy me. For whatever reason, the characters that I play are just at an automatic disadvantage because of whatever that particular hazard is, and being able to play a battlefield version because I love the world that it is in, is just awesome. Hopefully, people think so anyway. Personally, what are the stages that you are the worst at? Bihldorff: There's a number of them. Mega Man stage, in particular, dealing with that yellow devil. I just can't...I just don't go in with a strategy because every time that I see it, I just try to avoid it. I know you are supposed to be on it yourself, and then you get it on to your team, and then you shoot up at people right? Is that the way that it works? Bihldorff: I mostly just try to avoid it and I always end up getting shot by it, basically I'm in defensive mode all of the time. I think I need more simplistic, more wide open stages... I like to play quick characters. So a lot of it depends on having quick sight lines to get to an item or to the person that I'm after. There's a lot of stages that I'm bad at. 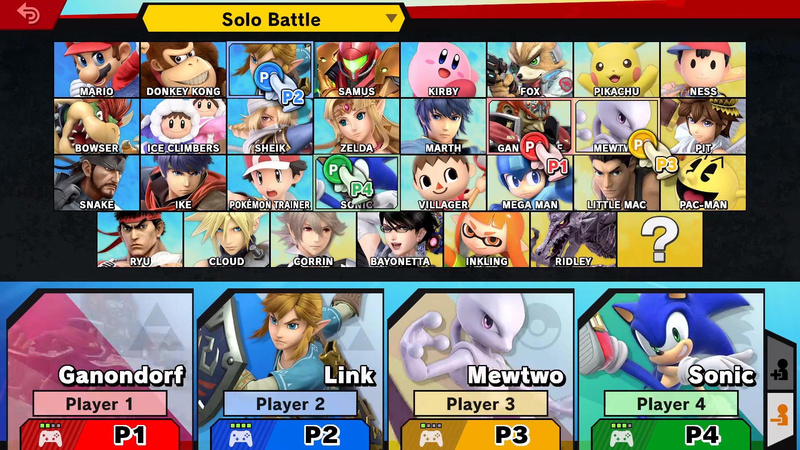 How many characters are currently announced for Super Smash Bros. Ultimate? Trinen: Are you getting to the point where you're counting the Pokémon Trainer as one or two? Bihldorff: Yeah. It's in the mid 60s. Are there plans to either announce characters between now and December or is the finalized, complete roster? Can we expect to see more at a later date? Trinen: We can answer that when we get closer to December. Will there be DLC? Are there plans to expand on the game after release? 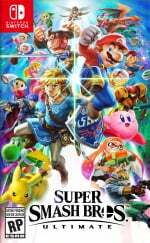 Trinen: I think that Mr. Sakurai obviously said that the number one goal is to get all of the past characters, and you know, the thing with a game like Smash Bros is that when you make those changes to core mechanics in terms of speed, in terms of some of the additional directional air dodge and things like that, that they added to the core gameplay in this game. Then that means that you have to go through and re-balance all of the other characters, and once you have to do that, then you are having to adjust animations. You are also changing character models. You are giving some of them new moves. Some of them you are getting new final smashes, it does limit to a certain degree the ability to add a whole lot more. At the end of the presentation, [Sakurai] said not to expect too many, but he did offer one more at the end there, which is obviously going to be fantastic. So that was great. If you were at the tournament, you probably heard him mention that he is flying out on the midnight flight to get back and finish the game. That was not hyperbole. He actually did that. He did it with a big smile on his face, because he did have a great time at the tournament. But his focus right now is getting the game ready for December. The thing about us, when it comes to something like DLC, we don't really start on it until we have got the game done. So, maybe when the game comes out they will make a decision on if they will do it, or if they do what they want to do, that sort of thing. We noticed that it felt like the difficulty curve of the game had been softened a bit. The directional air dodge helped us play on the edge of the stage better than in previous games. Were those changes made for players that aren't quite so good at the game? Is it there to make the game more accessible to a broader range of players? Bihldorff: Yes, thank you. There was a moment in the finals where he got on that and he saw that. There was a directional air dodge where he dodged directly onto another platform and landed then ground dodged the second that he landed to dodge the second strike of the dragoon. I can't even do that, and it really annoys me that these pro players probably did that after 4-5 hours of practice leading up to the tournament! [laughter] That is just a perfect example of a design decision that benefits both sides and as a result, it satisfies two very different groups. Trinen: I think the way that I would phrase it is that already Smash Bros is about as easy as a start as you can get from a game, right? It's the control stick, the A and B buttons, and even just with that. You don't know how to roll, you don't know how to shield. You don't know how to do any of that. Just with the control stick and the A and B buttons, you can have a lot of fun playing this game. Even my own kids started playing Smash when they were four years old, because it is that easy. What they added to the game, as Nate was saying, is that it gives more things for people to experiment with. The other thing with the combination of the jump button and the attack button giving you instant access to the short hop aerial attack, what that does is that it takes a technique that had been really sort of exclusive to this top-tier player category and it brings it down a level and makes it easier for someone that is a beginner to do that. Same thing with the A and the B for the Smash Attach. Pressing A and B together to do a Smash Attack. It makes it easier to do these higher level manoeuvres. What that does is that it sort of gives a broader audience greater access to deeper techniques. But then it's also forcing those higher level players to then adjust their game because they may to do things that lower level players were unable to do. Trinen: Yeah, but doing so in a way that is still incredibly easy access to beginner players. Do mechanics like Perfect Shield cater to that higher level player? 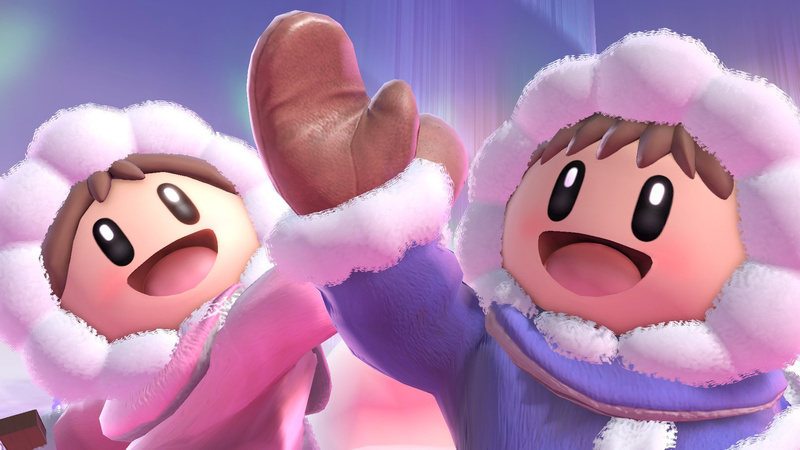 Smash Bros. gained a hugely competitive following at first, as a happy accident. It's the most successful competitive Nintendo game out there. Are there any plans to further that along or host your own tournament series for this, sort of how Capcom does its Pro Tour? Trinen: The first thing that I would do is rewind a bit and go to the 'happy accident' because that is a myth that I want to dispel. Absolutely dispel. Because the assumption is almost that Nintendo didn't know what it had with Smash Bros. And that actually suggests that Mr. Sakurai didn't know what he was doing. Whereas very, very specifically, he designed the game even back on the Nintendo 64 and especially on the GameCube, very specifically what we were talking about is a game that anyone can pick up and play, but one that has the incredible layer of depth to it. I mean, we used to play Melee every day at lunch and after work for 10 years. Literally. This went on in the Treehouse for years and years and years. Then we just got too busy. Do you think that Nintendo is going to sponsor events or do anything like that to push that competitive scene a bit more forward outside of the traditional fighting game circles? Trinen: We kind of take a different approach to tournaments. The first thing that I would say is that E3 2014, we held the original Smash Bros. Invitational. There was a confluence of events going on, you were seeing some big effort on the community side to really try to help elevate the scene. We held that tournament at that point in time had the highest viewership of any Smash Bros. tournament ever, which helped give exposure to the tournament scene. Of course, we invited a lot of community members to that tournament. It also was helped by the launch of Smash Bros. for the Wii U. Any time in the fighting game scene you have a new game come in, it tends to give momentum to the scene overall. What we have actively worked on behind the scenes the past few years is really making sure that both the Melee scene and the Wii U scene are both strong and healthy. If you were to go back and look at attendance at tournaments prior to 2014, viewership of tournaments prior to 2014, and what has happened with numbers post 2014, Smash Bros. has just been on a huge trajectory. Huge viewership numbers, number of people playing, what had been at the time big tournaments for Smash, but it is still very small to things like Genesis. We partnered with some of those tournaments, kind of behind the scenes, helping them and things like that. Obviously, we work with EVO for years as well. So our approach is a little bit different than other companies, but really what our goal is, is to try to continue to foster those places where the community can get together, the community can play, and the community can really engage in that fun competitive nature that we kind of talked about at the tournament as well. Ridley being in Smash is a huge deal. I remember - I could be misquoting, so please feel free to correct me - I remember hearing that Sakurai himself said that Ridley was just too big for Smash. What happened? Bihldorff: He studied the art, and he hunched his shoulders! [Laughter] He talked about that in a Treehouse Live segment that we did immediately following the Nintendo Direct. He was getting Ridley to stand upright in the game. One of his talks is Ridley standing straight up, which to me is probably him directly addressing the issue that he is too tall. He mentioned exactly what Ridley's height is, although obviously it is on a sliding scale depending on which game you're talking about. In the original Metroid it's like Samus and Ridley were [not that large]. Whereas in Super Metroid, he was this massive beast. Bihldorff: Exactly. I think he's got a specific size, but he did put a lot of work into making it look like the NES sprite where he has a hunched back most of the time. 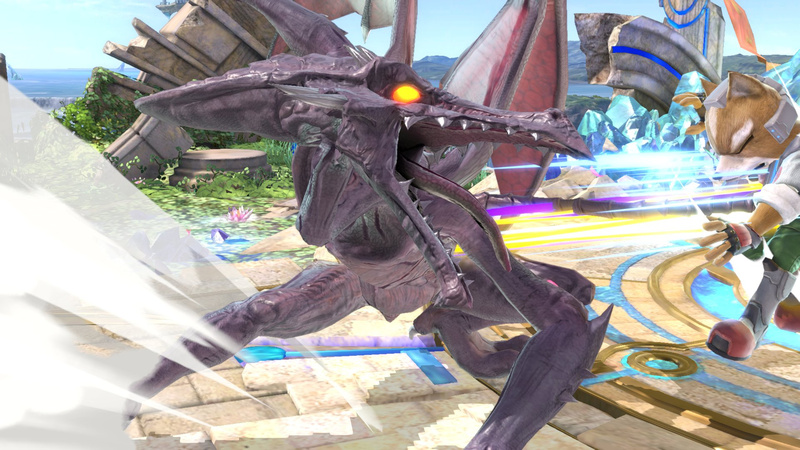 Was it a big moment for you guys when you found out that Ridley was, in fact, going to be in the game? Was it directly in response to fan outcry about Ridley, or was it something that had been planned and fans happened to jump on it at the right time? Bihldorff: A lot of people complain that a lot of characters that are still out there, they will complain about those, it doesn't mean that they will make it. I think Mr. Sakurai hears it, but then I think he just muffles it out and puts in the characters that he wants to put in. I mean he clearly listens to the community. I mean, you heard him speak at the tournament. I think he knew that the scene would be psyched that Ridley got in, but I don't think that it was the matter of, "oh, the way this reached its breaking point, it's time to put in Ridley before this collapses on top of itself." Bihldorff: Mr. Sakurai, not only does he have an innate knowledge of each one of the characters, but he does so much research about what they are supposed to look like, what their move set is based on. It comes from somewhere in video game lore. He is a student of video games, period. It comes through the second you see a stage, a piece of music, a character, just breathes love for whatever that franchise is. He does all of the balancing himself, doesn't he? Bihldorff: He's involved in all aspects of a development. He's probably got too many jobs to be sitting there doing 8 hours of gameplay, every day. But he is involved a lot in the process. Mr. Sakurai has said in the past that he wants to keep making Smash. Melee was where he was content. Then he got pulled into Brawl and then he made Smash 4. Was he really willing to get involved in this one? Is he really done now? Bihldorff: No, I think you are probably reading too much literally into those comments. I think that Mr. Sakurai really puts his all into every game that he works on. So, towards the tail end of a project where everything is furious and on fire, he might say, "I'm done for a while," but I wouldn't say that there would ever be a moment where he might say, "I'm never going to do a Smash Bros again," or he's "never going to do another game in another series." He always has other ideas. I'm sure he is constantly surprising himself with what he can add. As this series iterates, it's never a matter of just adding more characters. Every single game has plenty of new things, well beyond characters. It is all about game balancing. [So] I wouldn't read too much into that. We didn't kidnap Mr. Sakurai or anything. Trinen: I would say that his approach is that if it had to be the last one, people would look back and say, "Man that was a killer last Smash Bros." That's what he puts into it every time, so that every time it is a fantastic game. Speaking of characters, Snake is back. Fans have been wanting him back for a while, not only for Snake, but with David Hayter voicing him. Obviously Nintendo doesn't have full control over whether those characters can appear. 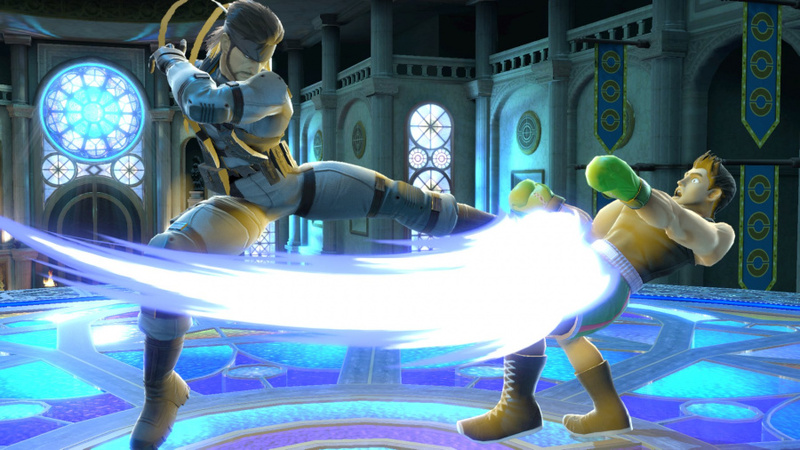 Was Konami all in when they were approached about whether Snake could return for Smash? What was that process like? Bihldorff: We don't have a lot of visibility into a lot of the conversations, the individual talks that occur. Clearly Mr. Sakurai and his team worked closely with every single one of them. That is a lot of characters outside of Nintendo's purview. Every single one of them, not only is there a conversation to get this character to come back, but it comes down to every single last detail about the character. I guarantee you that every piece of art is getting approved, every piece of music, every detail that is related to that particular IP, they are working closely with the rights holders to make sure that it is perfect and to their satisfaction. We weren't in the room when it got brought up, but I'm pretty sure it was pretty happy for them. There were probably a lot of fans over at Konami that wanted to play as Snake a lot. Trinen: I think people don't even recognize. He does that with all the Nintendo characters as well. When you think about it, with Mario, there is a Mario team at Nintendo. With Zelda, you've got the Zelda team. Inkling, that's a different team. They all want input on their own characters to make sure that their characters are the way that they want as well. It's actually a process that is applied to not just the third party characters, but even to all of our own characters. Then you have franchises like Fire Emblem which has obviously a lot of characters in Smash Bros. as well, that involve companies like Intelligent Systems, even Earthbound with that's with Lucas. People just look at Smash Bros. as this thing, that's just like, "It's Smash Bros, they can just do it," and they don't really think of all of the work that goes into it. Trinen: It really is. You're talking, just from the playable characters, 30 different IP represented. That doesn't even include all of the Assist Trophies. Even the Assist Trophies use third-party characters as well. With the penalties that they put on repeated dashing, do you think that wave dashing will basically not be a thing? Bihldorff: That is interesting. I was reading some initial reactions from the players last May and it is funny after one day it is like they are trying to figure out what techniques are going to be possible. I think that it is going to take some time for this game to mature with the pro players. It isn't going to feel exactly like any of the other games. So the side techniques, they have their own language at this point. With dashing, wave dashing, this sort of thing. I don't know what they're going to come up with. I think that it will be different, but it will be robust. Trinen: The other thing to keep in mind is that wave dashing wasn't discovered until 9 months after the game launched. This game hasn't even launched. It isn't even at its point to start balancing yet. Even with the Wii U game, they were finding new tech, new combos and things like that, long after launch. There's a lot to uncover about the game, especially once they start to piece together all of these changes fit together. Bihldorff: I couldn't believe how many good techniques I already saw in that tournament, with literally less than five or six hours of practice with the game, so I don't think it'll be called wave dashing, it'll be called something else, but there are so many movement tools available, that I can't wait to see what the pro community does with this thing. I think they're going to find a lot of awesome techniques. Trinen: The one person that I want to call out from that tournament was the dude, Pac-Man cosplayer. Not only did he have good cosplay, but he actually was a pretty good Pac-Man player. Are you ready to take to the field of battle on 7th December? Do you plan on maining a returning character, a newcomer, or are you going to hold out for the fat guy from Ice Hockey? Can't get enough Smash? Make sure to check out our hands-on preview from E3 2018. We'll have much more on Super Smash Bros. Ultimate as we get closer to its release, but for now, let us know what you're most excited about in the comments. I always thought that fighters not revealed before the game’s release would be Unlockable, which was the case with previous games/thus indicating which fighters both familiar and new would be Unlockable. But seeing how this goes, I think all fighters could be revealed before the game’s release. Only like 2-3 Major Nintendo Directs happen a year, hope there can be enough time to fit in challenger approaching trailers each month leading to December (in Smash 4 Newcomer trailers were saved for Major Nintendo Presentations to share details on upcoming games like Directs during the year). Was it really a good idea to not show off the first screens of Ultimate before E3 on the same year as launch. There’d been people like myself worried bout the Smash Bros. having no future, the one and only time Nintendo Characters all come together is one of those franchises fortunate to have new games on each and every Nintendo System, Previous Smash Bros. games even had their first screens shown off over a year before the game’s launch, good luck I say for whatever does manage to be revealed between now and launch. 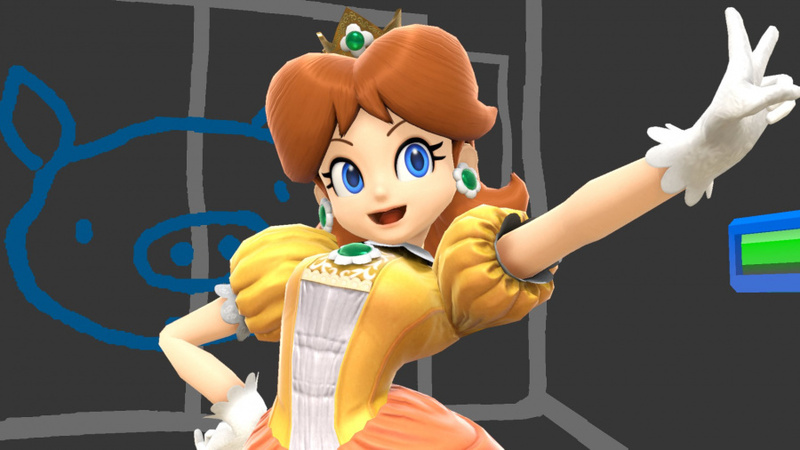 @Steve_Bowling did you guys talk about echo fighters and Daisy's differences? 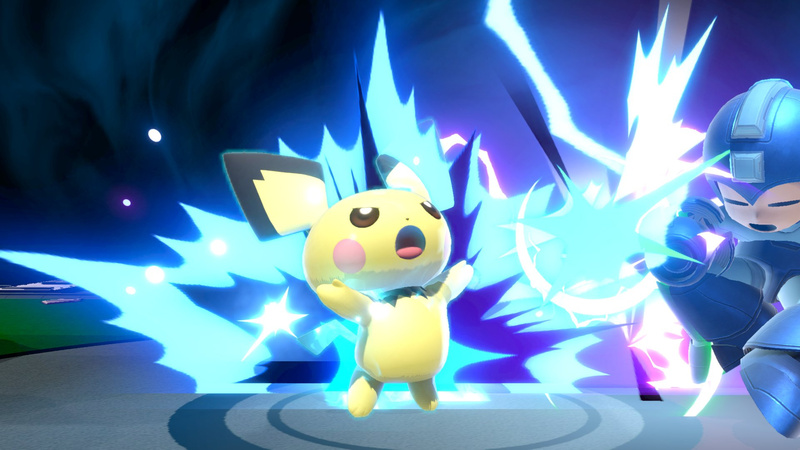 Who thought Pichu damaging himself was a good idea? I really try to like this series but for whatever reason I just can't, am I alone in this? @GrailUK Have you noticed that most of the (potential) characters on this list were DLC Mii Fighter costumes? King, Secretary, Doll, and Old Man? This is Fake News. We know they started working on Smash Ultimate in December 2015, right before they launched the final DLC for Smash 4. The game comes out in December 2018. The development cycle for Super Smash Bros. 3DS and Wii U (two separate games, according to Sakurai) began in March 2012 (for launch in late 2014). For Brawl, development began in October 2005 and the game came out in 2008 (after being delayed a couple times). Also, Saffron City has a pixelated Charmander (not a Charizard) and the Yellow Devil doesn’t join your side (rather, he produces a huge explosion when he’s defeated which cannot injure the player that KOed him). @MH4 Hahaha. No I hadn't Well spotted! @N64SNESU I enjoy it casually but have difficulty understanding how it's a quasi lifestyle for so many. @CuriousUserX90 There will almost certainly be a dedicated Smash direct however in the months before launch. We usually get what, 3-5 dedicated game directs in the latter half of the year? Outside of Smash, Pokemon, and Fire Emblem, I don't see any other real possibilities there. And there's definitely one more major Direct before the end of the year, probably in September. So that's 2 major directs, and maybe a mini or two where reveals can happen. Am I the only one who prefers new stages over the old ones? I already saw every one of then hundreds if not thousands of times. And they already got rehashed. I love smash, but nothing got me really excited because I saw everything before. Hopefully they won't repeat that DLC mess from Smash 4 though. @link3710 That's what I was thinking, closer to launch there could be a dedicated direct for Ultimate, but there should also be more than one Major Direct this year, even if one of them's a mini direct, and that Directs won't be the only time to expect Newcomer Trailers (the Reveal Trailer for Robin in fact was not in any Particular Presentation leading to Smash 4's release), with clips that could possibly be featured in Ultimate's intro. Duh Smash Ultimate is an enhanced port of Super Smash Bros for Wii U. Even Sakurai himself said that they took Smash 4 as a base to upgrade the roaster and some stuffs in the game. It's like he think that gamers are stupid and blind. I don't deny the fact that they worked on Ultimate, they did ! But Smash "U"ltimate is Smash 4 enhanced edition + rebalanced thingies here and there. Nintendo is struggleling with NEW GAMES ! Smash is the same, the only truth is that Nintendo knows that a lot of people never had a Wii U sooooo it's "easy" to makes people believe that SMASH "U"ltimate is totally new !!! EDIT : and another stuff, when Trinen said, I quote " Have you ever seen a port of SMASH ?" just to defend the fact that Ultimate is TOTALLY A NEW SMASH. I want a size changing guy from ice hockey that’s all three. *Mushroom Kingdom (one of them), would be nice to see one of the 8bit Mushroom Kingdom stages again. *Woolly World, YWW should have some more representation in Ultimate now that it's actually released. New Stages that could possibly appear as well as for Newcomer Franchises that seem certain is one from Pokemon Sun & Moon and one with Xenoblade Chronicles X (that is if there's a XCX Fighter), not to mention a PictoChat X. With a massive amount of stages, how could the music tracks for each of them be represented (it would either be like Smash 4's Wii U Version and Brawl or Smash 4's 3DS Version I guess, depends of thousands of Music Tracks can possibly make it with nearly 100 stages). Do you have the interview as a podcast? I would love to listen to a weekly Nintendolife podcast. I like Smash a lot but as far as hearing about it all the time I could do without. I haven't been "edge of my seat," excited since the days of Smash Dojo giving out little tidbits of information every day leading up to Brawl's launch. It's nice to hear about mechanical changes but to dedicate nearly 1/2 your e3 runtime to Smash was too much, a lot of it bored the hell out of me. Personally every time I see new Smash news I just think to myself, "Yeah, this is like their only big game this year and it comes out in December... It's July." Interesting. Good to know Sakurai isn't about to jump ship anytime soon then. He just needs a long break after every game. Also, erm, since when was short-hopping and Smash attacks advanced techniques? That's news to me. Also, Im genuinely interested to know why Sakurai is able to look at Ness's PK Thunder 2, know that Rosalina and Villager can just screw him over every time, and just be like "that's fine." Please Sakurai - I love you and this game so much. But while I love the series to death, Ness (my main) basically became unplayable when up against Rosalina and Villager. And other Lucas'/Ness' players to some extent but its easier to forgive with them since its a HUGE risk to them. So excited! I can't wait to see what more hidden things they have added into Smash Bros and how they even change skme things between now and launch! Very excited to hear what Bill had to say, he's like one of my favorite Nintendo people, always in the position of translating or in the background.... So it's great to see him be in the interview! He seems like someone who is very laid back and cool to hangout with. Trinen is one intelligent dude. Guys speaks multiple languages, not even Reggie does that afaIk. Always like to hear his responses. I just want to know what they have for single player modes. If they do another board game instead of something like Subspace Emmisary or even Smash Run, I might lose all interest in this game. BRING THE SINGLE PLAYER. That's why people arent that excited for this game. Nintendo needs to show a solid single player mode. After the "quality" of the "adventure mode" of Mario Tennis Aces, are you sure that's a good idea ? This is an interesting interview, but I'm real tired of people trying to force the narrative that this game, and especially Splatoon 2 are just "enhanced ports". Anyone with a shred of objectivity should be able to tell that these are new games just by informing themselves or spending any length of time with the games. So, you deny that Nintendo use the assets and the core of previous entry ? I quote Sakurai himself : "For Ultimate, because the development company is the same, the know-how wasn’t reset – it isn’t like we forgot how to make a good game in between games. There’s no need to change the game’s “architecture” between handheld mode and docked mode, either. We can re-use assets from the previous game, too – things like that. All of these aspects combined was our “chance.” Everything was laid out for us, and the conditions were perfect. " @Cobalt Assets does not equal gameplay. You can re-use assets and increase the resolution/tweak them. It does not mean it will be identical and it is a common practice in the games industry. The actual gameplay and feel of the game is what should be different. Unlike MK8DX, which is identical to MK8, numerous reports indicate that Smash Ultimate plays differently to other Smash games. I just hope they don't announce EVERY character. 1 or 2 new ones and some echoes is fine, but I want to be surprised when that challenger approaching screen shows a new but familiar siloette. @Cobalt Majora’s Mask reuses a whole lot of assets from Ocarina Of Time; does that make MM the same game as OOT? No, it simply means MM could be made, as it took them only a year to put it out; Nintendo strictly required a one-year development cycle, so if they hadn’t reused assets MM would have never existed. @Cobalt So idk how interested you are in the rest of the gaming industry, but you know that a game that reuses a lot of assets, but then builds from that point to add new mechanics, modes, characters, maps, etc. and make numerous changes in the mean time is called a sequel, right? Obviously the switch is fairly close in power to the wiiu; it would be moronic to make completely 100% new models and stuff. Look at other series that have multiple entries on the same generation... you call them "enhanced ports"? Smash Ultimate is obviously more different from Splatoon 2, but then again you probably think that is a port too. Look at Doom, Skyrim, Wolfenstein, whatever on switch. Those are actual ports. Go learn what a port and what a sequel is before bashing the game, the interview, and Nintendo itself. Also what clvr said lol. Smash Bros Ultimate is not a port of Smash Bros Wii U, no matter how much you think/rant otherwise. @Cobalt You sound like Donald Trump, trying to capitalize random words in a tantrum and trying to spout "Fake News". Listen to yourself lol. @Cobalt Or you can listen to yourself, understand what's the difference between a port and reusing assets, then come back. God, you are loud, annoying, and ignorant, the worst combination in this comment thread. Excellent interview, now to wait until December 7th. Sure they tricked here and there, speed, some attacks and stuff like that but the overall is clearly coming from Smash U. Or you're a PR, or you're what I call a "Nintendrone". I'm not bashing Smash, I'm making a cold analysis, that's all. That you're not agree with me, no problem. Really ! That you think that Smash "U"_ltimate is totally a new Smash, no problem again. @Cobalt I mean, duh? That's what a sequel is. Take what worked, refine what didn't, and try again with new content. That's literally 90% of sequels. ESPECIALLY in fighting/shooter games with a competitive edge to them, and ESPECIALLY in a series that revers its past history. What's Smash 4 if not just a quicker version of Brawl, which was just a slower version of Melee? What's Titanfall 2 if not just a more refined Titanfall 1? Street Fighter V to Street Fighter IV? Hell, even Mario Galaxy 2 to Mario Galaxy 1. Oh no, they're all ports using the base of the previous games for a new game! Call the press! If you want to try to keep calling Ultimate a port just because so much old content is back (ignoring that old content coming back in droves is nothing new for Smash), then ignoring core gameplay changes to fix what didn't work in past games, then you're missing the forest for the trees, plain and simple. Just because "other people can think differently" doesn't make them right. That's why you're not ! @Cobalt Fantastic rebuttal. Keep crying about how brain-dead you are as some faux-cynical "intellectual" that can somehow see beyond PR statements while consistently making erroneous assumptions and judgements. Unless your intent is to troll, which mission accomplished. You got me and many others. Now if you'll excuse me, I have lunch to prepare. Ta. Did you ask about a single player story mode? I still hope there is a platform game element in there for each character. I can dream can't I... ? Aside from attempting to balance/rebalance all the characters, I don't think it was as painstakingly difficult as they act. 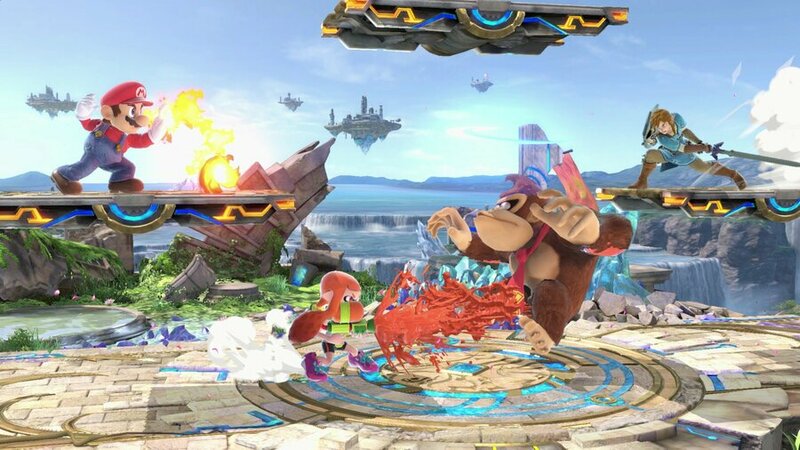 Basically the same graphics as Smash U, aside from the Final Smashes most characters' movesets look the same, and there's only 3 new characters we know of, one of which is a clon- 'echo fighter', and only a few new Stages too. Unless there's another Story Mode and more returning & new game modes, I'm still convinced this is a Smash U port or upgrade. @Cobalt (also @shoeses for good measure) Have you... actually compared the models between games? While the DLC characters were clearly developed for both systems simultaneously (Bayonetta, Corrin and Cloud look identical) DK, Marth, Mario, Link, Fox, Falco, Luigi, Captain Falcon, Jigglypuff, Shiek, Ganondorf, Zelda, Mr. Game & Watch (at least for his animations), Pit, Dark Pit, Zero Suit Samus, Ike (both costumes) Megaman, Olimar, Wii Fit Trainer, Little Mac, Ryu and all the characters returning from Brawl and Melee have new models. That's more than half the cast. As for the stages, while all the Melee stages being completely redone is obvious, even some of the Wii U stages are updated with improved textures, and new features. It's especially noticable on Suzaku castle. Or compare Bridge of Eldin, which looks vastly improved in this version as compared to it's Brawl or Wii U counterparts. Every single game has featured stages ported over from the previous one without changes, that's not new. But here we're seeing actual improvements on almost every stage that's coming back, which is huge. And what really takes the cake is this: None of that graphics stuff is really what makes it different. Whether a character's model was torn straight from smash 4 or completely redone and reanimated (and it's a definite mix of both), what makes it different is the fact that the game has been completely rebalanced and plays incredibly differently from Smash 4. It seems that @Cobalt is the new SLIGEACH_EIRE. GOD, there is at least one person that understand that it's not trolling to just point what you see in front of your eyes ! Man, I'm really happy to know that the world is not entirely screwed ! The problem is many people who played it said it felt super similar to smash 4. Plays similar and uses the assets. That makes me think port. Or maybe a half step. I never fully believed splatoon 2 was anything but splatoon 1.5. Maybe we are harsh but there's plenty who give nintendo a pass as well. This is a video from one of the biggest French gaming website. 00:16 "On va enfin jouer à Super Smash Bros "U"-ltimate, la version ultime de la version Wii U." We are finally going to play Super Smash Bros "U"-ltimate, the ultimate version of the Wii U one. So when you even have professional journalists explaining that what they have in front of their eyes is THE ULTIMATE VERSION OF THE WII U VERSION, sorry but that's clear for anybody who just have goodsense. Great interview! This is the real NL again for the first time in a long time! I do love how they dodged, evaded, and deflected the development time and Splatoon 1.5 questions. Expert politics there. Trinen for Senate. I can't say better than you ! PR at its best ! Yeah, this is the good stuff. Nice work Steve. The history of Super Smash Bros. sequels is one of tearing the game down to its basics and building it back up. New models, new stages--each one has a new theme for Battlefield and Final Destination, yet Smash U is using the BF and FD from Smash for Wii U, huh...--all of the previous stages which return shoved into a "Past Stages" area, but here they're just "stages," huh... Menus are identical, and except for a few (unnecessary) tweaks here and there, so are the character models and animations. Look, guys, no Smash Bros. game has ever been this close to its predecessor in terms of visuals, content, theme... anything. From 64 to Melee to Brawl to Smash 4, everything was wildly different. That isn't the case here. 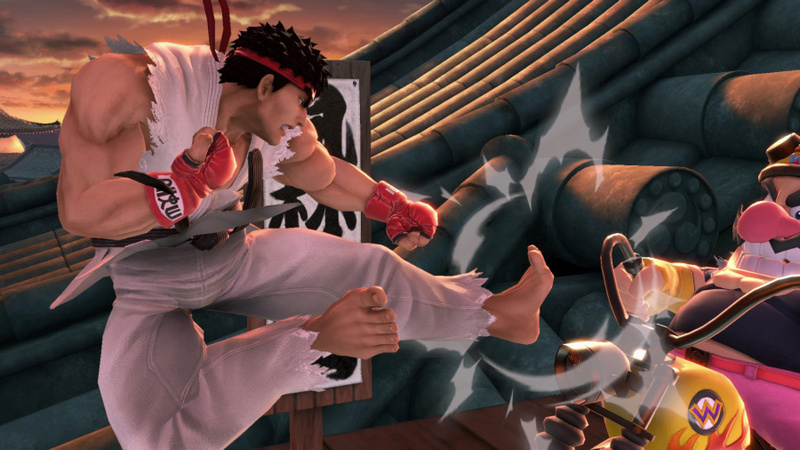 It's a rebalanced Smash 4 with additional content, a "Hyper Fighting Edition." If they add enough single player content, maybe they can get away with calling it a sequel. If all we get is the same Smash Run map, the same Smash Tour maps, the same Home-Run Contest, the same Break the Targets maps, the same Classic Mode, the same All-Star mode, and the same Target Smash mode, then frankly it doesn't matter how many tweaks you do to the roster: it's an enhanced port. You want people to stop calling it a port? You need to hope that there's some new modes and some differentiated content here. If all the single-player modes are exactly the same as before... well, that's it then. Again, this feels like a port--despite the history of other fighting game franchises--because Smash Bros. has a history of differentiating itself between titles and this title isn't doing that. Recent history consensus is that splatoon 2 was actually splatoon 1.5 and mario tennis aces was actually ultra smash 2.0. Anyone thinking this isn't a port is just super optimistic. At the very least recent games should have made us more skeptical and objective when discussing these things. @Kriven The Normal/Past Stage distinction hasn’t been there since Brawl. @Cobalt @EvilLucario Hey, quit it you two. Everyone can voice their opinions, there’s no need to agitate and go on the defensive. JUST FANTASTIC ! You are 100% right ! @PanurgeJr Haha glad someone else picked up on that. Check the post history, negative upon negative Someone had to take up the mantle. Think that puts an end to the nonsense being spewed about Smash bros and ports. @Cobalt Wow, someone’s taking this game very personally. Maybe take a nap and sleep those grumpies off. Haha! Ummm, no. That’s probably the least accurate description of this series I’ve ever seen. 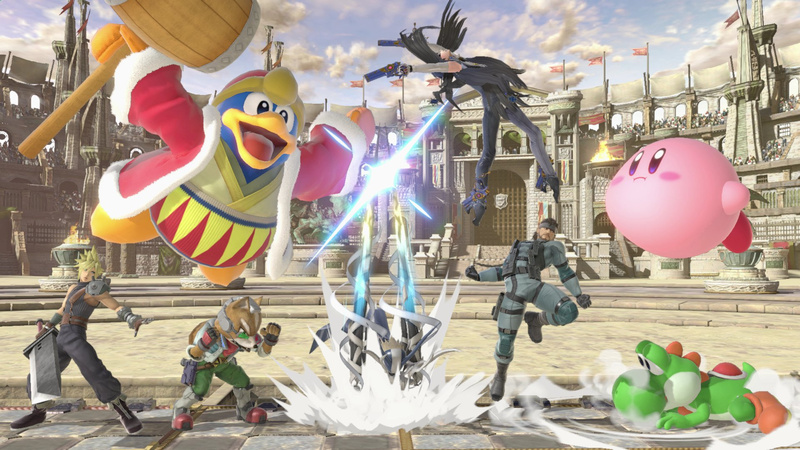 Have you actually played a Smash Bros. game before? Because it kind of seems like you haven’t. @N64SNESU Do you like fighting games in general? Mario Odyssey, Mario Kart, Mario + Rabbids, Mario Tennis, Mario Party & Smash Bros; that's a lot of Mario for a console not two years old yet. Mario Odyssey and Mario Rabbids are new games built from the ground up. The others are not. Saying they are does not make them new. Is that all we have left to talk about game wise this year. Smash Bros.? Adjusts glasses Uh, technically the original Smash Bros. was, indeed, ported to Wii, thanks to a little service known as Virtual Console. Also it's weird that with all the detailed work that goes into representing IPs there's definitely been a lot of inaccuracies, especially in the trophy descriptions. Though I'm mostly familiar with the Sonic ones in Brawl. Shadow's hover shoes had a wrong design, and his first appearance was not Sonic Heroes. They fixed both of those issues in Smash 4 tho. When was the last port of Mario Kart ? When was the last port of Donkey Kong Country ? Trinen : There has never been a port. @syrek24 Thats why you dont mate. Like the trolls before them, ignore and dont feed them. Eventually they get bored or banned and move onto another site. "You cant convince some people they are on fire even when their hair is burning". @BAN I've put hundreds of hours into every iteration of the franchise, including the 3DS game which I wasn't particularly fond of. I've participated in Smash Bros. fansites since 2003, regularly come up with character movesets, have a series on my blog literally titled "Fantasy Smash Bros." and am so desperate for more Super Smash Bros. type of games that I latch onto Icons and have forced my way through multiple awful knock-offs, like Punch-Time Explosion and TMNT Smash-Up. If you do not feel that the visual style, models, thematic aspects of the "Pure Smash" elements (such as Final Destination), gameplay mechanics, and handling of single-player content were not different across the first four games, then you, sir, are ignoring the vast majority of what characterizes a video game. I know you're right but you cannot convince people here. It's like that, I even brought Sakurai's words here, guess what... they continue to believe what THEY think even when Sakurai himself explain basically that he and his team took Smash U to built upon. So, don't loose your time even if I personally think that your posts are really interesting. Thanx for the explanations dude. @Big_Ounce Because it seems like a lot of people seem to think that port=low effort cashgrab. While there's obviously some degree of fanboyism involved in the defense, I think calling so many games ports, particularly when some clearly aren't, also discredits the efforts of the developers. People shouldn't disrespect creator's efforts just because a game is visually and mechanically similar (especially when they ignore all the changes, adjustments and new content). That's just my opinion though. @Cobalt dude, it's a completely diferent and new engine, get over it, just because the character models looks almost the same, doesn't mean it is a port. @link3710 Balance is obviously important, but the people who care the most about the roster being amazingly well balanced are the competitive players, which are the vast minority for the Smash series. Let me ask you this: For most players, after the nostalgia factor of the characters & Stages are gone, what is left? If you played the older games, you know how the characters work mostly, leaving only 2 new characters to mess around with (as of now). And aside from 8 Player Smash & online, all we can assume is the bare bones Classic & Event Modes - no word on new or even returning game modes. Ugh, the point I'm sure I'm poorly attempting to get across is that they focused way to much on the old, and nowhere near enough on the new. It feels more like a port or collection with a pinch of new rather than an actual new game. Sakurai HIMSELF said that he and his team used " a shinier version of the Smash Wii U engine "
I quote : "So when Masahiro Sakurai revealed that Super Smash Bros. Ultimate, built in a shinier version of the Smash Wii U engine, would celebrate the entire series by including every character ever I nearly screamed in this office like a jerk YouTuber." Honestly i feel more confident in that opinion after the interview. The naysayers can say what they want, but the very politician "let me just say this about that" speak invoked to diffuse the question and blur the completely tangential double speak reply told me precisely that they're trying to spin it as something it's not... It's a port, and the more they try to push that it isn't, the more clear they make it that it is. Which is fine for the genre. Like hyper fighting, there's a place for that. But it really is grating on me the way they keep trying to define it differently by qualifying verbiage. Stick support before, but switch has a hori. The first smash with a hori RAP could be amazing if they include support and would be a huge gameplay changer. But the more they lie and represent it, the less it makes me want to like it. I tend to have negative thoughts about products that they misrepresent to get people to buy it. The interview also made somewhat clear that treehouse is pretty out of the loop on dev details in this series, so they're forcing marketing perceptions based on development they weren't even really privvy to. @shoeses Which is fair, but also we've had confirmed that single player content will be revealed at a later date. On top of that, there's no reason to think there will only be two (and a half) new characters in this game. We know more announcements are on the horizon, so I'd wait and see what the final cast looks like before crying fowl. There's a good chance we'll see 8-10 characters in this game, far less than others, but still a decent number. It’s 100% a port and to claim otherwise is laughable. I think it’s pretty disgusting of Nintendo to claim otherwise and fuel this culture of port denial. I am looking forward to playing the port though. @Cobalt You uh, you definitely read that article wrong. "So when Masahiro Sakurai revealed that Super Smash Bros. Ultimate, built in a shinier version of the Smash Wii U engine, would celebrate the entire series by including every character ever I nearly screamed in this office like a jerk YouTuber." The commas indicates a separation between what Sakurai revealed and the reporters own rhetoric. What Sakurai revealed was simply that every character was in smash. The reporter was simply adding a statement in there demonstrating what he believed was true, being that it was a "suped up" Smash 4 engine. As of now, we don't officially know how new the engine is and everyone is basically making assumptions or guesses at this point. And either way it doesn't matter. Smash 4 used a suped up Brawl engine. In fact most series use the same engine multiple times per series. Heck, just look at how long Elder Scrolls has used the engine it did for Skyrim. At the end of the day, none of your arguments hold water. This game has new gameplay, which makes it a new game. You and every one else trying to push the "it's a port" narrative are just wrong. Objectively wrong. There is a set definition for what a port, or even a suped up port are, and Smash falls into neither of them. Now, if you said "There personally isn't enough "new" here for me to get excited for," then fine, that is indeed your opinion. Personal taste and wishes are subjective. And I can see where that viewpoint is coming from. But you continually trying to push the idea that this is a port is just asinine. This has a new art style, new gameplay, and an incredible amount of content not from Smash Wii U.
I just want to clarify that I don't think it's a bad thing that it's a port. It's an enhanced port, it's got all of the fighters from previous iterations (though I do still wish that Squirtle and Ivysaur were separated), and I'm happy to buy it as the enhanced version of Smash Wii U as it is. That said, I don't appreciate Nintendo attempting to spin it like this is a new game from the ground up, and I don't appreciate "Adding Seventy Characters Is A Lot So Don't Expect Many New Ones" rhetoric when nearly sixty of those characters were already largely programmed and the majority of the work went into little unnecessary changes like altering Mr. Game & Watch's appearance. Ports are fine, they don't need to be justified. Don't jerk me around with nonsense trying to do so. @N64SNESU That’s cool. Well, it sounds like maybe you’re just into the more technical fighters and Smash is obviously less combo-heavy and serious than most other games in the genre? Different strokes for different folks, I guess. Not that Smash doesn’t produce high-level play, but you know what I mean. I used to be a lot more into those sorts of fighters back when I had people to play with locally, but life pulled us in different directions and I lost my drive to keep playing. What I like about Smash is that it lets me scratch my fighting game itch without feeling depressed about having forgotten how to play it after a break of several months (or even years). And I can talk my wife into playing it, which is 100% impossible with any other fighting game. @Kriven I honestly can’t tell if you’re being serious because I truly find everything you’re saying to be completely wrong. Smash is the most iterative series I’ve ever laid eyes on, by a long shot. And that’s doubly true at an aesthetic level. But hey, you keep calling it a port without even a hint of irony or sarcasm so I’ll take that as a glimmer of hope that you’re not being altogether serious. But if you are, then there’s obviously just a massive divergence in our respective pereceptions of this series. Which is totally fine, and actually kind of interesting. @Cobalt I enjoy a good nap. Even if I don’t really need one. I recommend them heartily. Of course, but judging from your comments it appears that if a game borrows assets from its predecessor then it’s automatically a port, or an enhanced port at best. Edit: also, you haven’t played the game yet as almost nobody has (and the ones that do have have played an unfinished build), so how can you be sure it plays the same as Smash 4? Another thing that I don’t understand is: what would you want from a new, from-the-ground-up Smash that’s not present in here? We’re still going to have new characters, stages and hopefully modes, though that still remains to be seen. If Sakurai & co. were to build a new Smash in a new engine, they’d likely have to cut content to make room for the new, which has always been the case (aside from SSB64 -> Melee), so I’m actually glad Ultimate is based on the Smash 4 engine, as it lets them reuse some content that would still be the same, and use the time spared in the process to create new content. This way, you get everything theseries has ever had to offer, plus brand new content on top of it, which I personally believe is the best possible way to handle this kind of game series. I'd assume/hope there'd be more than 2.5 new characters, but I think 8-10 might be a bit out there considering they said not to expect many. But I'm also a pessimist at heart, so I'll agree to disagree on that. @Kriven bingo, 100% my thoughts exactly! I love the "it's a port because I said so!" comments. Now, I understand most people who recognize as a port don't seem to have a problem with that and I wouldn't either, but how's it a port though? The game runs a new engine, character models are updated, plenty of balancing improvements were made, a few new characters confirmed so far, with more to come I'm sure. I just don't see how this is even an enhanced port, just a sequel that built off the previous. Which, a lot of game series do/have done. I think a lot of people are confusing sequels that build off the previous game as "ports". Splatoon 2, still falsely labeled as a port, same with Mario Tennis Aces, and now Smash Ultimate. I don't get it, because by that logic, would Smash Brawl be a port of Melee, Smash Wii U/3DS a port of brawl? Then you can go even further; wouldn't most of the Call.of Duty games be a port of the previous? Same with Assassin's Creed? Uncharted 3 a port of Uncharted 2? Injustice 2 a port of the first game? etc. etc. @shoeses I can't find it now, sorry, but it was an incredibly useless PR comment saying something along the lines of "Single Player Content will be discussed at a later date." I think Bill Trinen said it? "@Cobalt on a totally unrelated note, go Croatia 😘"
I'm agree with you because they're gonna need support ! More seriously, may the best win ! I implore all of you to watch it, especially @Cobalt. It does a great job of showing exactly why Smash Ultimate is just another port. Edit: Good job, Cobalt. Thanks for proving to me that you are to never be taken seriously ever again. It's ridiculous but really funny ! Love that kind of humour ! Thanx for the link and to have bent my belly in two ! Instead, this is for me a video that express my thoughts about Smash "U"ltimate very well. @Cobalt Don't listen to these fanboys, they would gobble up anything Nintendo throws at them. I really enjoy reading your comments as you don't seem to be afraid of criticizing Nintendo for their sub-par performance. As for Smash: it's an enhanced port. The animations are exactly the same as in Smash 4 with some minor tweaks. There are far more differences between Smash 64 / Melee / Brawl / Smash 4 than there are between Smash 4 and Smash 5. The Nintendo Direct was a huge disappointment... they spent way too much time on the Smash part. There wasn't even anything exciting. What Smash 5 really needs is a single player mode that is actually worth playing. I doubt that they can manage to make something meaningful though. I'm on the same line as you dude. Today, or you're a FANBOY or a HATER if I understand the mentality of a majority of the gamers here. I have the right to think with more nuances than that. PS : I want to add another point to this, the fact that I'm not native speaker is probably a problem too. I can't express myself as good as I would like to. I totally understood that ! My point was that you cannot use the fact that there hasn't been a port of Smash to justify that Smash Ultimate is not a port of Smash 4. It's ridiculous. Because there hasn't been a port of Mario Kart too or a port of Donkey Kong Country before the SWITCH...(and we know that Mario Kart 8 and Donkey Kong Country Tropical Freeze were ported from the Wii U to the Switch). That was my point... dunno if I'm clear enough or not but Trinen is playing with words in a really disrespectful way from my perspective. @PanurgeJr that's why I politely hit the ignore button on him a while ago. Now all I see are replies to the person who will remain nameless. I think people are confusing: New entry, sequel and port. So Majora's Mask was a sequel to Ocarina of Time. Just like Super Mario Galaxy 2 was a sequel to 1. But Twilight Princess was a new entry in the Zelda series, just like Super Mario Odyssey. But Twilight Princess HD was a port. Having said that, I think that the new Smash could be placed somewhere between new entry and sequel, from what they've shown. @N64SNESU I'm exactly the same. I just can't enjoy Smash. I even got both the wii u and 3ds games to play with friends and I just got bored with them quickly. I find the mechanics too slow and floaty. they just don't click with me. It's clear from the competitive scene that there is a lot of depth, but I just don't find it fun. I used to really enjoy Street Fighter games too by the way. @shoeses My point was that we literally know nothing yet, either way. Could be good, could be bad. STill way too early to tell. @_aitchFactor Pretty much. It seems some people decided a long time ago (before the game was even announced) that it would absolutely be a port, and no amount of evidence to the contrary will ever convince them otherwise. @N64SNESU Makes sense. I think that’s why most diehard Smash players prefer the “faster” entries in the series, because it tightens the gameplay up. @Cobalt huh...still not the same engine. A ''port'' would use the same. This is pointless discussion. The speed and physic of the games are completely diferent, this should be more than enough to stop calling it a port. @raphaboss same game in a new engine is what a port is, though. Like ffxv is being ported to ue4, in part presumably for switch support. Skyrim was ported to a new branch of the engine to produce the se. But the game is still ffxv and Skyrim, not ffxvi it tes5. This smash visually seems to be an updated smash u. The roster and stages seen to be old smash. A few additions don't make it newer than it did for pokken or usf2. Tuning and tweaks to speed and balance are not a new game. A new edition, sure. A new game, no. To be clear there's nothing wrong with selling a smash ultimate collection with accumulated content, all dlc, some adjustments and hyper fighting type speed changes for $60. That's fine and totally justifiable on its own. But then trying to sell it as something it isn't, and worse, doing it through smarmy pr word play makes me lose trust in the integrity of Nintendo's statements. No way around it, this is a port, collection, ultimate edition (the hint is right in the name), new edition of smash wiiu. And that's fine. It's still a good value. Why they need to spin it otherwise makes no sense. I feel like the spin has less so do with this actual game and more to do with a damage control policy to downplay the heavy recycling of their entire wiiu catalog before the optics get bad. Creating internet fan wars about "this obvious enhanced port is new because they said so, and i can tell by the pixels" obscures the clear reality buying them a valuable shield against more serious/investor inquiry. If consumers don't agree it's all ports, they're shielded. "There's never been a port" ... Therefore this one must not be one either. And Splatoon 2 added new modes (one new mode after six months) and that makes it a sequel. Today Splatoon 2 may well be a sequel. For the first 5 months it surely was not. If be curious what ncl says about smash. If they feel the need to hype it as a new game or not, where new editions of games are so common in Japan. I feel like this is messaging for the westerners that doesn't apply at home. @Euler sakurai said either in famitsu column or a article that he delayed brawl to try to get Geno in the game. @Cobalt donkey Kong tropical freeze was on the wii u and tropical freeze, donkey Kong country is nothing like tropical freeze besides the looks it's a tropical freeze has zero levels from the other game. @Cobalt yes Tons and i means TONS OF PEOPLE loved it despite what you say. 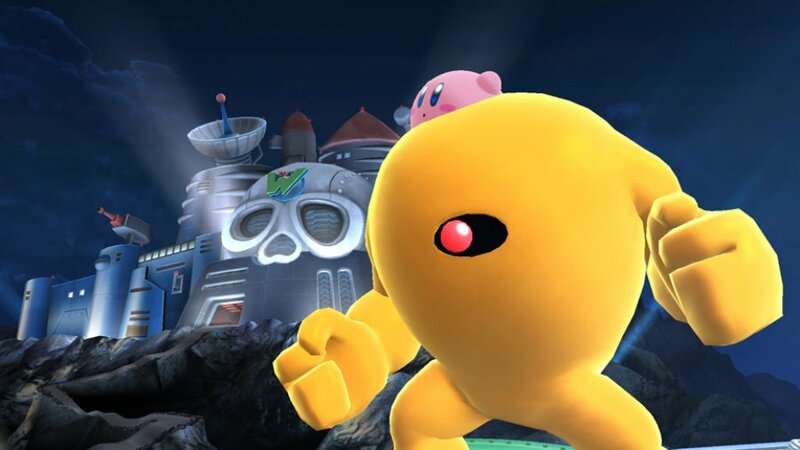 I know they will add at least if not story mode or adventure mode, they will add smash run because 1. A lot of people played the 3ds version 2. It sold more. 3. D smash tour comes back then so will smash run just like they did with the 3ds stages on the Nintendo switch. @Cobalt You can tell it's a new game. When they introduced Ridley (who hasn't been in Smash before!) the Smash logo was a solid bar. The Wii U version was made of fire. Am I the only one who noticed this? @shoeses @Cobalt lmao they game isn't out!!! Of course there will be more than just three! Yes i get he said don't expect too many newcomers. But Too many could mean anything to sakurai. He might consider 10 too many or 5 too many. Sakurai already confirmed that it's halfway through development at the smash invitational. Basically all I'm saying is it's too early for judgment. For all we know we might get a smash direct or a Nintendo direct of some kind talking about new or old games modes or a new character reveal. @Cobalt That's so ignorant to say the world is screwed wtf? If your trying to state a opinion or prove a point, don't say ignorant stuff to people. So i think it's a new game so that makes me stupid? Sheesh, imo it sounds like your being rude, even if others are being rude to you. 1. Just ignore them, it's the internet 2. Be polite no matter what people say 3. Respect other people opinions and don't say they are dumb for thinking so 4. There is always a nice tlway to argue without being rude, cursing, etc. Plz be nice and thank you. @Cobalt There a journalist not sakurai, Nintendo, or anyone who works with them. That is just a opinion. Unless they extremely close with Nintendo, have insider info, is sakurai, or a higher authority in Nintendo, it doesn't matter what they said. That's like saying " I've have played every single game out, so it's a port!" Doesn't mean anything. @PixelJared 1. Were you at E3? Are your calling us dumb when it's clear it's at least a sequel or new game . Sakurai even there hundreds if not thousands if changes. Yeah a "Port has that many changes. Listen the game isn't finished, sakurai said himself its halfway through development at the smash invitational. So we could see a smash direct or a Nintendo direct show off modes new or old or even new characters. If you think this is the finished product your as dumb as a dodo bird. @Kriven Just because it's similar doesn't mean it's a enhanced port. Also you said "want people to stop calling it a port?" When those people are dumb for not even knowing what a port is and what a enhanced port is. At least You know the difference. Ok what enhanced port has different portraits fir pick a character to play as, they haven't shown the rest of the characters, or game modes. Not even all of the items and stages. It's clear the e3 smash bros ultimate isn't finished and if you think otherwise you weren't listening. Sakurai said that they are halfway through development at the smash invitational. Plus some might say the roster was finalized in 2015! So? Doesn't mean they showed off all the characters nor doesn't mean they would reveal all the newcomers. Hey if I'm wrong about the stages, being more characters, and new or returning game modes then fine i was wrong. But until the game is out and it's confirmed 100% a enhanced port, a sequel or new game, then what what i said still stands. No, I am not ready, yet. All the talk about Smash is nothing but playing the main VS mode. As far as I can see, there has not been a word spoken about single player, yet, and that has me worried. Is there going to be any at all? Is this game just going to be VS mode, over and over and over, with the only goal being to GIT f*cking GUD? If so, keep me as far away from this game as possible, cos I get enough pain and stress trying to git gud in Smash 4. I don't need another avenue for constant headaches and self-deprecation. @Waluigifan listen I'm not a fan boy so let's that out. Of the way. Two It's clearly a new rendering engine hence why the look like plastic or as some said mixer of smash bros 4 and smash bros brawl. I'm with you on its a sequel ot a enhanced port, but we still have til release date or more smash direct or Nintendo direct talking about what they have done. Theym game isn't finished yet, sakurai said himself that they are halfway through development. So what they say or what we say is just assuming or merely speculation about things said. Until the game is out and we get 100% confirmation on what it is, we don't know. But honestly i niw fine with it being a enhanced port. @Dayshader Not every statement is a fanboy talking about why it isn't a enhanced port. @Lazygamer17 Nothing you said stands even in the present. It was a giant word salad. Slow down and learn a little bit of grammar so people can actually parse what you're saying. The most I got out of that was: "IT'S NOT A PORT BECAUSE THEY DID NEW RENDERS!" @Lazygamer17 Which is exactly why I'm not judging it - I'm just taking it at current face-value until we get more info. @Lazygamer17 I wasn't using the word "phrase," I was using the word "parse." I'm also not bossing you around or calling you an idiot, I'm telling you that walls of stilted text and half-complete thoughts don't add up to much. @shoeses Sorry if i sounded aggressive too you it's just people never listen too both sides. Most people take a side and then piss off the other guy etc. At least you responded nicely. One more thing, if you say "Well your response to us is aggressive that's because you said something ignorant to people who think it's a new game. Neither side is Right nor wrong until the "FULL" game is out. So 1. We can all decide if it's one or the other and 2. Until Nintendo ir sakurai 100% after release date confirmed enhanced port or new game. Guys stop being ignorant or saying negative stuff to each othervand I'm sure they will do the same if they aren't ignore them. That's just their opinion though. Looking at the above comments, I can see people can't really get over that it is a new game. It's splatton 2 all over again. SMH. I have nothing against thair opinion, it's just the repetitive rant that gets anoyying fast. @RaphaBoss Again, to keep in genre, Street Fighter II: Hyper Fighting was not a new game. Street Fighter III was a new game. That's the closest example. And again, it's not bad that it's a collection/ultimate edition of Smash, but that does not make it actually a new game. The highlight here is the amount of old content collected in one place, not a showcase of new content. One could say it gets more refined, but then, it's still not a new title, it's a new bundle/collection/edition of the same game. Once it reaches the pinnacle it can be and you can't iterate it further, it becomes the "ultimate" edition, and it can't go anywhere from there. Which is just what we have both here and with MK8 until technology changes what it can be. There's a mismatch between "needing a new entry in the series because marketing demands it" and "I have an idea for making a new game with this." You end up with a game that stretches to try to meat a marketing goal rather than a product you actually wanted to make, but it rehashes enough of the prior game that, like the FIFA series, it is the prior game(s) in one box with some changes.